Love it or hate it, “Black Friday” is upon us and it’s time to score those super amazing deals (should you be so brave)! Grab a group of friends and hop on our A-train, Connect Bus, Highland Village Connect Shuttle and Lyft Program. We can deliver you to all your favorite local shopping destinations, including Golden Triangle Mall, the Downtown Denton Square, the Shops of Highland Village, or Vista Ridge Mall. Check the Schedule – Don’t forget that we will not be operating any service on Thanksgiving Day, but once we get our turkey fix, we’ll be back at it Friday, November 23. Go ahead and eat that extra slice of pumpkin pie while you take a look at our holiday service schedule so you can beat the traffic, avoid the parking lot chaos and investigate all the good deals you won’t be missing out on. Get the Inside Rider Tips Scoop – Our convenient, Transit Tracker tool provides real-time information on A-train, bus, and shuttle service arrival times via web browser, text message or by phone when you dial in for automated voice information. You can also download the free Transit Tracker mobile app from Google Play or Apple iTunes for instant information on transit-vehicle locations, nearby stops, step-by-step transit directions and notifications about when to leave for your next trip. Plan Ahead – Be sure to check your route’s arrival times before heading out for your shopping trip, arrive at your stop at least five minutes earlier than the scheduled arrival, and have your fare on hand. Keep our Positive Train Control testing in mind as it affects the last two runs on Friday evening. Have a Strategy – Consider in advance the stores you’d like to visit and the items you’re looking for. There are also several, free Black Friday smartphone apps that you can download to compare prices before you get there, including ShopSavvy, Shopular, Flipp, Price Cruncher, The Coupons App, Santa’s Bag, as well as store-specific apps. But be aware! The Better Business Bureau reported in 2017 warning consumers of phony retail apps that look like the real thing. Be sure and evaluate apps before downloading them. Warning signs to look for are apps with no reviews, poor grammar and no history of previous versions. Don’t Buy More Than You Can Carry – However, if you plan to buy a lot of items (or some bulky ones), please bring a folding cart for your shopping bags. If you don’t have a cart or choose to bring one, we ask that you only carry on two bags maximum. Rest assured that DCTA is mobility-convenience friendly if your trip requires the use of a folding cart, wheelchair, stroller, bike, or other type of carriage, we’re ready and able to accommodate you! Create A Family Plan With Your Kids – If you’re shopping with children, discuss what to do in case you’re separated from each other. Select a central meeting place, make sure they know they can ask mall personnel or store security for help, and make sure they have your cell phone number memorized and write it down for them to carry in their pocket. Know What’s on Sale … and What’s Not – Black Friday is the right time to buy televisions, computers, small appliances, clothing and even food, especially seasonal specialties such as chocolates and nuts. Home furnishings, on the other hand, are better left for after-Christmas sales. Some websites that can point you toward the best items to shop for on Black Friday (as well as things that are more likely to be discounted after the holidays) include NerdWallet, DealNews, RetailMeNot, Bankrate, and MakeUseOf. Pack (and Dress) for Comfort – Grab a reusable water bottle to stay hydrated. Spending money can make you thirsty! Remember to wear comfortable shoes, dress in layers, and bring along a phone charger, just in case! Make DCTA Your Best Holiday Deal of All! 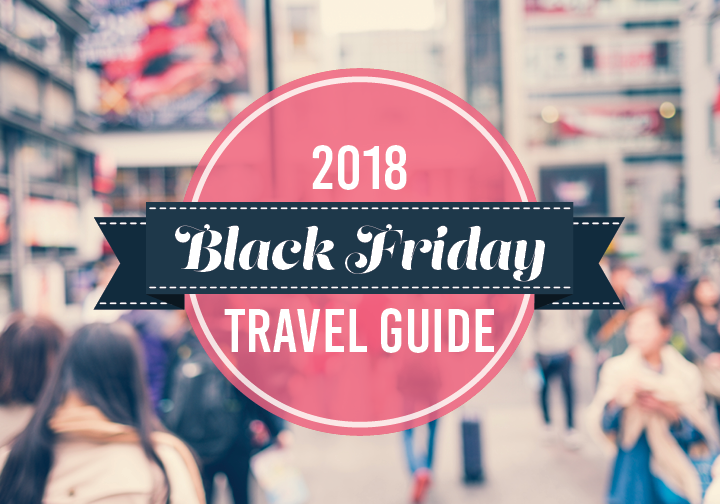 — Traffic on Black Friday is sure to be insane – so leave your car at home and let us help make your shopping experience easy, comfortable, safe, and convenient! What are your favorite stores to shop on Black Friday, or do you prefer to stay cozy on the couch? Comment below and let us know your holiday shopping traditions or ask any questions you might have about DCTA’s holiday schedule.